Free Workshop worth RM 299 included with your purchase! 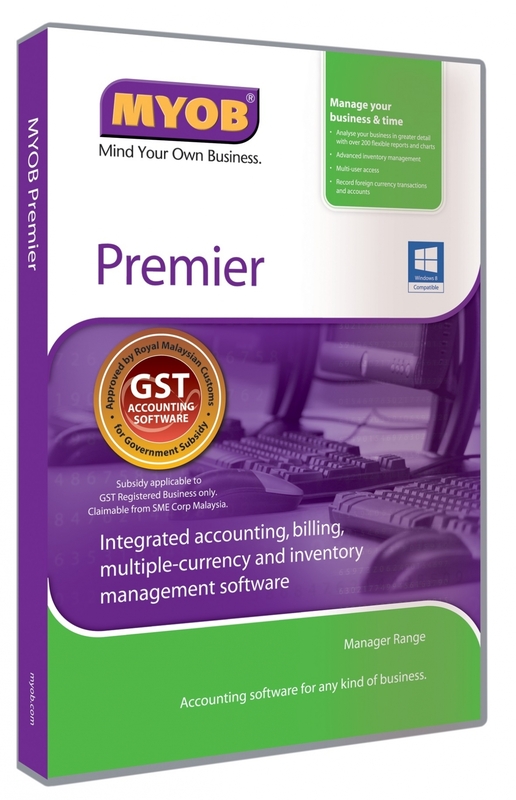 Incorporating all the standard features of MYOB Accounting, MYOB Premier provides advanced inventory and business management capabilities to medium-sized companies. Manage even the most complex medium-sized business with ease using the multi-user MYOB Premier software and use its time-saving tools to manage and analyse your business. This is the ideal and complete software solution for handling foreign currency, time billing in a multi-user environment. Features Highlight: General Ledger, Cashbook, Accounts Receivable, Accounts Payable, Stock Control, Contact Management, Time Billing, Multi Stock Location, Multi User Capable, Multi Currency, Pricing Matrix, Cheque Printing, Budget, Project & Job, 180+ Standard Reports.